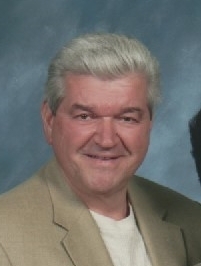 David F. Redding, 70, of Littlestown, died Tues, January 15, at his home. He was the husband of Dorothy H. “Dottie” (Brent) Redding for 15 years. Born Feb 12, 1948 in Gettysburg, Dave was the son of the late Philip F. Redding & Doris (Spangler) Redding of Littlestown. He was a 1966 Littlestown High School graduate and was owner/operator of David F. Redding Contracting. He was currently employed as Maintenance supervisor at Hanover Hall Nursing Center. Surviving in addition to his wife and mother are his children: Shelly Toner of California, Tammy Go & Jay of Texas, Sandy Keller & Mark of York Springs and Mark Redding & Amy of Florida; his 4 step children: Michele Core & Jason, Melissa Taylor, Steven Barry & Jennifer and Christopher Barry; his 20 grandchildren; his brother, Leonard C. Redding & Barbara of Abbottstown and many nieces and nephews. Dave was predeceased by his sister, Linda E. Dutterer. He was a member of Hanover Elks and Littlestown Eagles. Dave was a very hard worker and loved his family. My condolences to the family. I remember Dave as a funny yet hardworking man who cared a lot for family and friends. Sorry for your loss……. Dad, you were the greatest man i have ever known! Thank you for passing down your work ethic, craftsmanship, and attention to detail. I will surely miss our good talks on the weekends. you will be greatly missed pops! May you rest in peace brother, and you will forever be loved!! Condolences to Dave’s family, he was a great person! I feel blessed to have worked with him at Hanover Hall and will miss his infectious laugh and smile in the mornings! My deepest sympathies for Dave’s family. He was one of the nicest guys I’ve ever met and always treated me with a smile. He will be greatly missed at Hanover Hall!! GOD gained another angel for sure!! GOD Bless!! We were shocked and saddened to hear of Dave's passing. We will always remember all the wonderful times we shared together. Shelley, Tammy, Sandy and Mark, Doris, Leonard and Dorothy we extend our sincere sympathy please know our hearts are heavy for your loss. May GOD give you strength during this most difficult time. Please remember and hold in your heart all the wonderful memories you've shared. Sending much love to you all. Good Bye Dear Friend. After the tears have dried and the goodbyes have been said, all we have to hold onto are the happy memories that we’ve shared with our loved ones who have passed, this is what keeps them alive in our hearts and in our minds, and they will continue to live on, through us. May God enfold and comfort you during this difficult times. My most sincere condolences. My deepest sympathy to Dave's family. Dave was a great guy with a huge heart and smile. He will definitely be missed at Hanover Hall. Sandy and family, praying for you in this difficult time. May the memories you share with each other bring you comfort. Sandy and family - I love you and send you my deepest sympathies during this very difficult time. God gained a beautiful soul this week!!!! Dave’s smile and sincerity will be truly missed!! I guarantee he has all the angels laughing!! My condolences to his family, friends and his work family!! You will be missed. I am sending mind condolences to Dave’s Family. Dave was a hard worker at Hanover Hall and he we’ll be greatly miss by everyone at Hanover Hall. Dave always had a smile on his face and he joking around with me and I will miss that . Was a great pleasure to know Mr Dave. Always a smile and laugh to be had. Hard worker and ever the willing to help anyone he could. Will be greatly missed. Prayers to the family. Rest easy Mr Dave. Condolences to the family. Dave will be greatly missed at Hanover Hall. He had a big heart and was such a determined, hard worker. God bless! I am saddened by this news. Dave lit up the rooms at hanover hall. It didnt matter what I asked for , he would come with a smile. So smart and caring. I am so sorry for your loss as well as ours. He was a great man. Rest Easy my friend. Please accept my sincerest sympathies to your family. I've only known Dave a few years since he has been working at HH, but he made a big impression with the staff and the residents! So personable! He always had a greeting and a smile for everyone. He was a very kind and caring man and he will be greatly missed by all! sympathy to all of you. Dave was a talented, hard working man. There will be lots of memories to help you through this time, and in your hearts forever.